After the Capelin have finished spawning and another season comes to an end along the beach at Admiral's Point in Trinity Bay in Newfoundland Labrador, many of the fish are left for the predators. 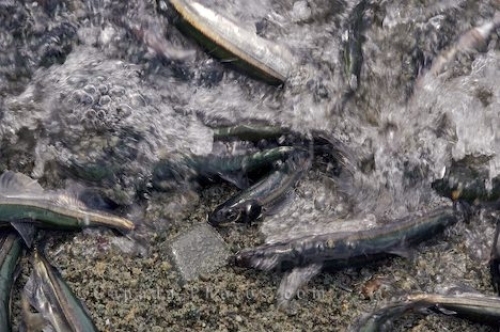 A majority of the male Capelin will die after spawning as the shallow water and currents can cause these fish too much damage, while some of the females survive and continue on. Picture of a spawning season of the Capelin on the beach at Admiral's Point in Trinity Bay in Newfoundland Labrador.